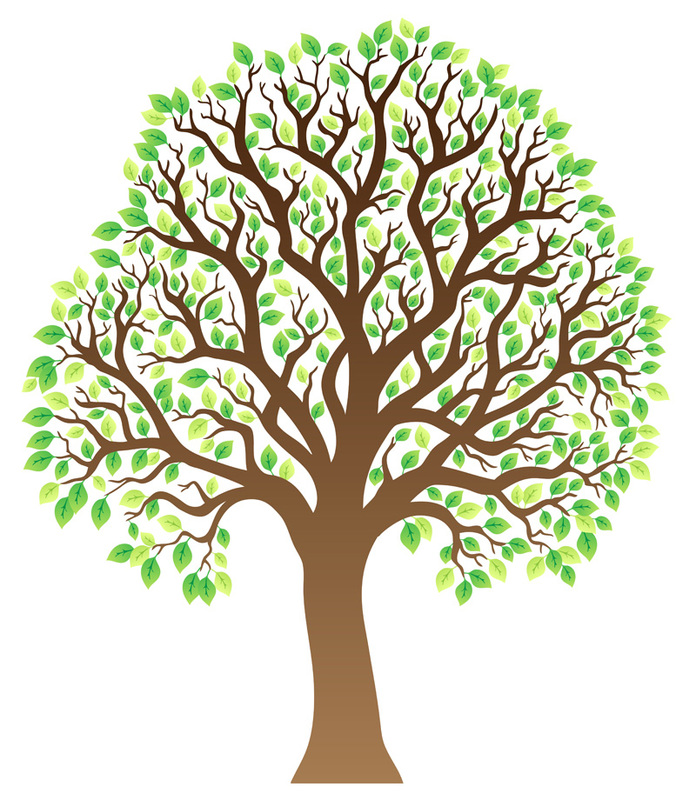 call storybook today and better understand your options and associated costs. 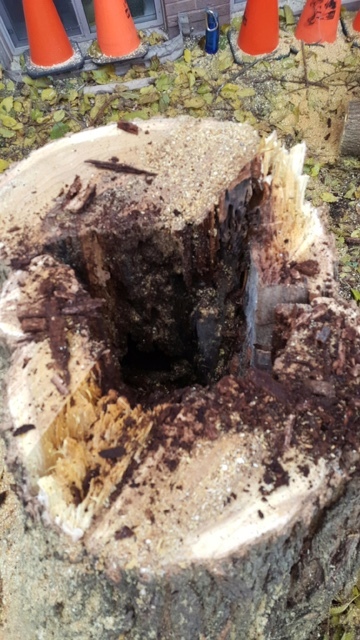 "We have a large tree in the middle of our back yard and it has made it impossible for us to enjoy our yard. 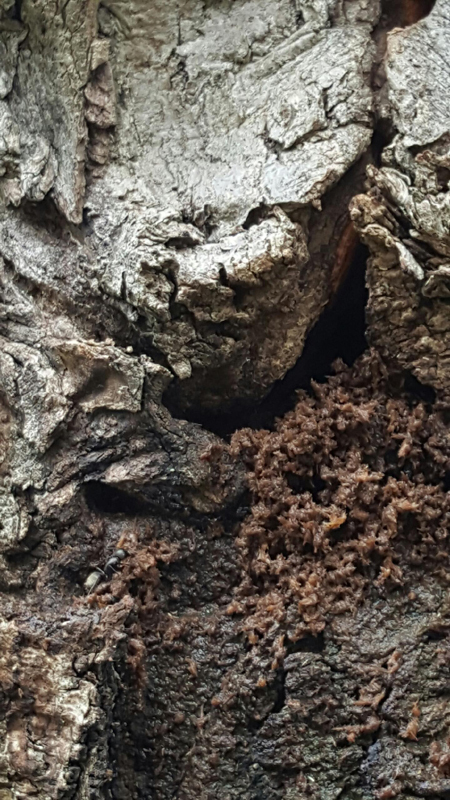 It is constantly dropping stuff on our decks, clogging our gutters, may be responsible for a foundation leak and providing access to our roof for racoons and squirrels. 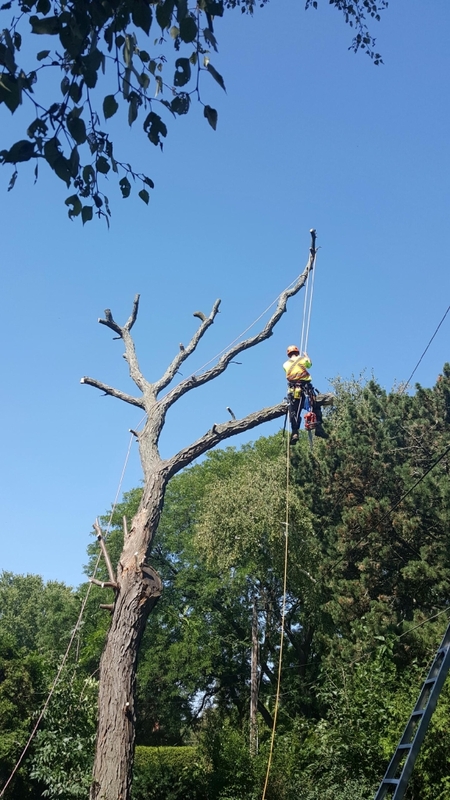 Ideally we'd like to remove it, but if that proves too difficult (unable to secure permits) we'd like it severely trimmed back." 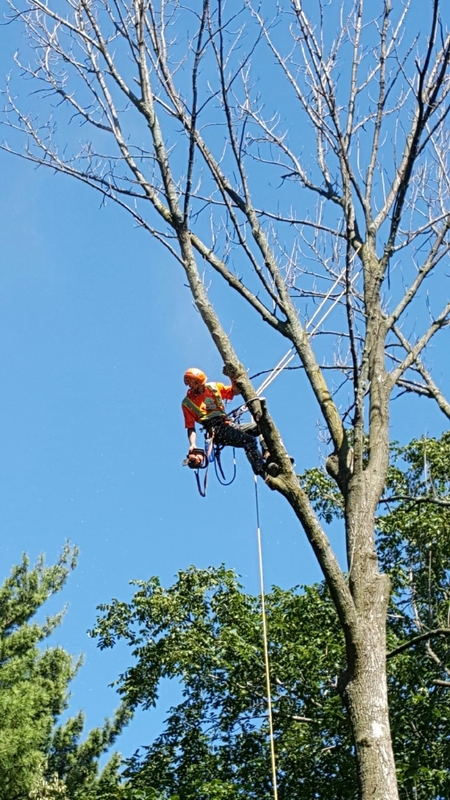 The team at Storybook Tree Services are experts in tree removal and pruning in Oakville, Mississauga and Burlington. 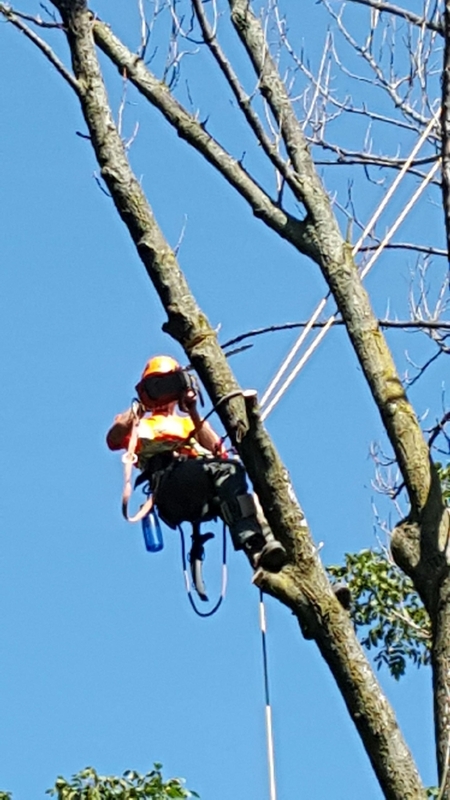 For more information about our professional tree removal services, please view the PDFs below. Mississauga: What Ward Do I Live In? Inquiries: 3-1-1 (Mon - Fri 7 a.m. - 7 p.m.). Outside City Limits: 905 615-4311. For an emergency after hours from 7 p.m. - 7 a.m.: 905-615-3000. 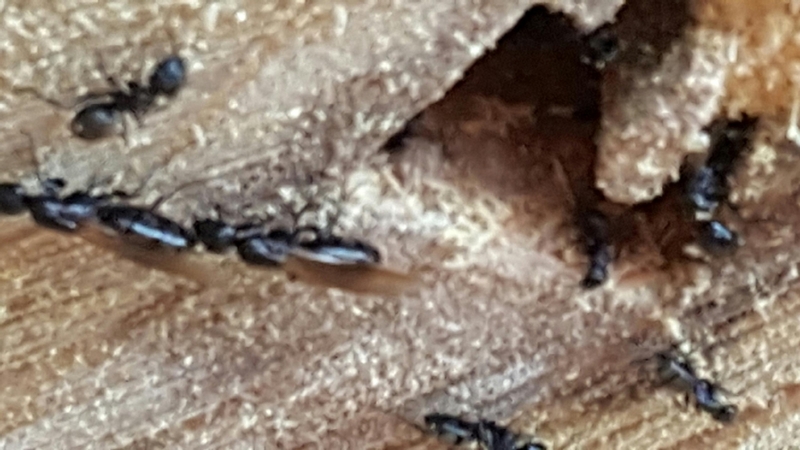 Ants make a home inside of dead dying trees. 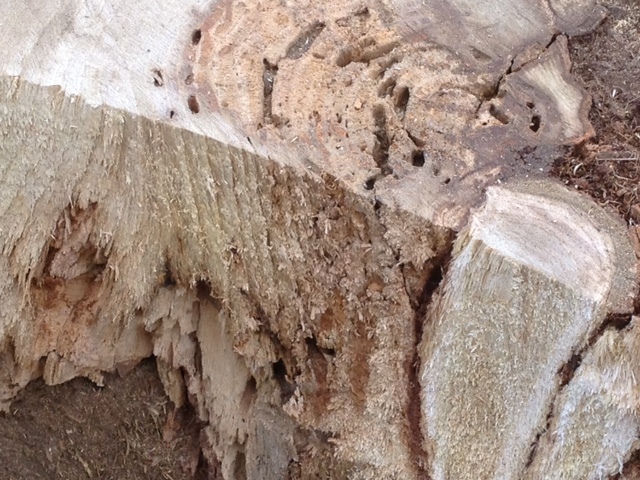 That's what the ants were living in "they take out dead rotten wood". 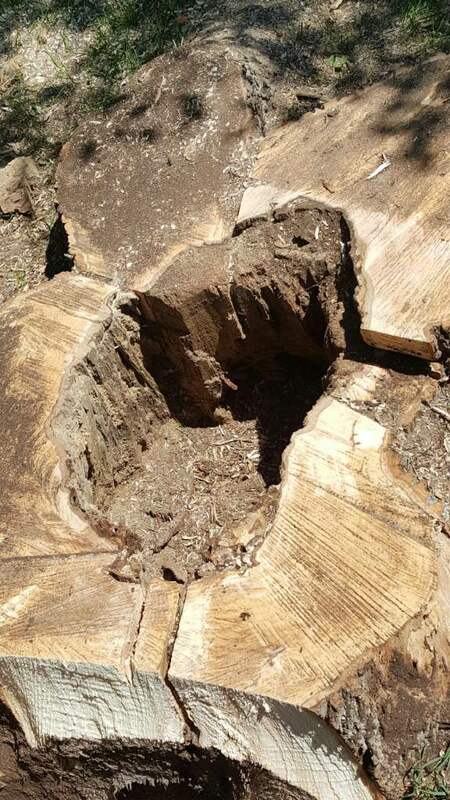 Sometimes stumps may reveal reasons why the tree may have been in a decline. 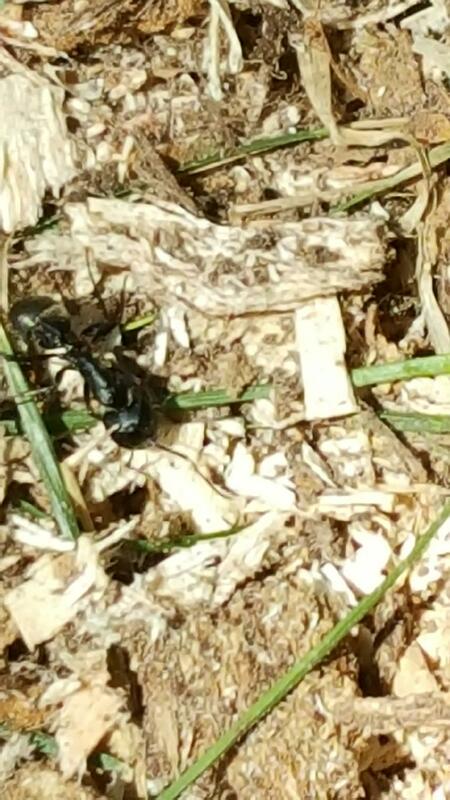 Carpenter Ants can destroy more than just your trees. 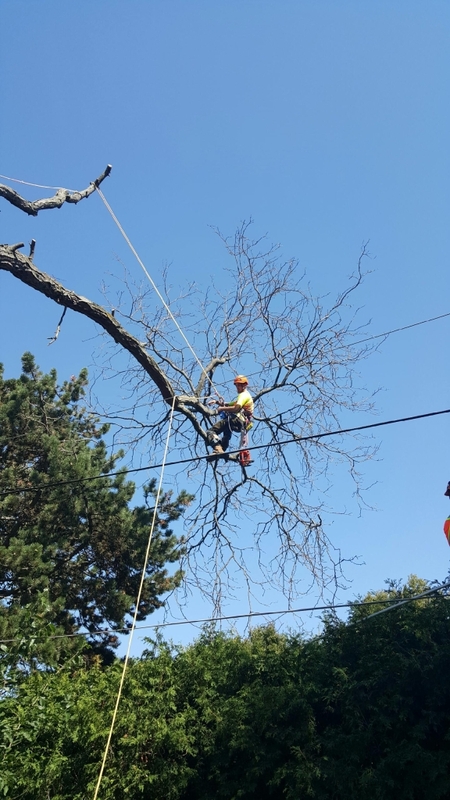 Working near Burlington Hydro lines safely thanks to their crew, while removing a large tree.